…is the theme of Queen Maragret CU’s events week which is where I am this week. I’ve had a real mix of emotions about the week – huge apprehension, unworthiness, not being ready (I really should have listened to the talk I recommended last week again! ), but today has been a mix of encouragements. It’s been great to hang out with other staff from UCCF this week and explore Edinburgh in some afternoon free time, but what’s really got me bizzing tonight is seeing the gospel work and that God chooses to use us. I’ve just been to a brilliant meal with a message with a first year student in halls and had the chance to spend two hours hanging out with his housemates chatting about the gospel and it being true for them. They were so open, yet so hopelessly blind. they could see that the human situation was dire (their own words) in relation to God, but couldn’t quite get that Jesus was the amazing answer. They saw that for Jesus to come back would mean their only chance of relationship with God was over but couldn’t see the need to do something tonight. So encouraging and frustrating in equal measure. I’m really praying that God would open their eyes this week to his amazing truth! What an awesome God of love we have who gives us encouragements when we need them most and chooses to use us in evangelism! 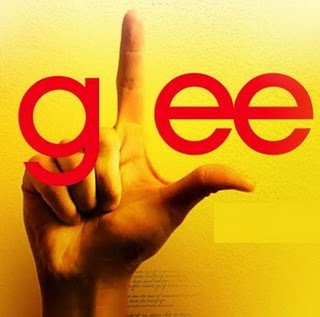 If you haven’t seen this episode of glee then you can read about it here. From the moment Puck said “true spirituality is about enjoying the life you’ve been given” this was a great episode and I was intrigued to see where it was going. There are more in depth commentaries on this on web but the reason I am so thankful to glee for this episode is that is shows that people are asking questions about life and truth and God. So often Christian students despair thinking that their friends are not asking these questions and just don’t care. Glee has shown that they are asking just maybe not upfront. Pretty much every question you could think of was covered. From Sue Sylvester coming out with this on prayer: ﻿﻿﻿﻿﻿﻿﻿﻿”so I prayed harder, and after I while I realised that it wasn’t that I wasn’t praying hard enough, it’s that no-one is listening. Asking someone to believe in a fantasy, however comforting, isn’t a moral thing to do. It’s cruel” to Kurt on being gay: “﻿﻿﻿﻿﻿﻿I think God’s like Santa Claus for adults. Otherwise God’s kinda a jerk isn’t he? I mean, he makes me gay then has his followers going round telling me it’s something I chose, as if someone would choose to be mocked everyday of their lives”. I think there’s loads to learn from this episode – both in seeing what popular culture assumes about God and Christianity and seeing where they are right! For example, Sue said it’s cruel to ask someone the believe in a fantasy even if it is comforting. That is true – if Christianity is a lie then asking anyone to believe in it is completly cruel. The good news is that we know it isn’t a lie and faith in Jesus does way more than comfort – it gives us an eternal, totally undeserved realtionship with the creator of the universe! Kurt also says early on that he doesn’t go to church because the church don’t think much of gay people. This is awful – but sadly true. So often the media represent the intolerant church who hate gay people. It’s not true. All people are welcome in God’s church. I’m not going to go into argument on homosexuality here as it’s not the place, but the fact that the church is now seen as being so judgemental and not loving those it deems wrong is not what the Bride of Christ should be like. The church should be welcome to all regardless of race, gender, sexuality, criminal convictions, repuatation (note this is not an excuse for sin in anyway but modelling ‘love one another’ and ‘do not judge’). In my experience as a Christian the majority of churches which I have come across are ones that are loving, accepting and welcoming – but seeking to help all people know Jesus and live a life that reflects that. That’s the church we want represented on tv! (also note, this is not to say that church is perfect – I am all well too aware that the church is far from perfect).